For the French version of this country profile, click here. To download a pdf version of the full 2018 South Africa country profile, click here. Against a backdrop of a sophisticated banking system, South Africa benefits from a well-developed housing finance sector and property market. A majority of the residential property market – 58 percent at the end of 2017 – includes homes valued at less than R600 000 (US$41 695). About a third of the total residential property market are estimated to have been fully-subsidised by the government. South Africa also benefits from a world-class cadastral system. According to the 2018 World Bank Doing Business Report, South Africa is ranked 107th of 190 countries globally, in terms of how easy it is to register property. It takes 23 days to go through the seven procedures and costs an estimated 7.3 percent of the property value. Yet the registration of title deeds for government-subsidised properties remains a serious challenge which is currently being addressed via a targeted government programme. Despite well-developed credit markets, access to mortgage finance is largely limited to high income earners and consumer indebtedness continues to be a concern. In 2007, 14.5 percent of households in South Africa had a mortgage, but by 2016, this had declined to 9.7 percent of households. Housing affordability also remains a critical challenge. In 2018, the cheapest, newly built house was estimated at R352 500 (US$24 496). Under these terms, the house would be affordable to only 34.4 percent of urban households. Low household incomes; poor credit records limiting access to finance; rising building costs; and scarcity of affordable, well-located land for human settlements development are all factors which contribute to the affordability challenge. Government’s primary means of addressing the housing backlog and the housing affordability challenge has been focused on the supply side, providing houses to low income households as part of a comprehensive subsidised programme in which government is the delivery agent. Government interventions include social rental housing and a finance-linked subsidy targeted at the ‘gap’ market—to date, over 2.8 million households have received a state housing subsidy. 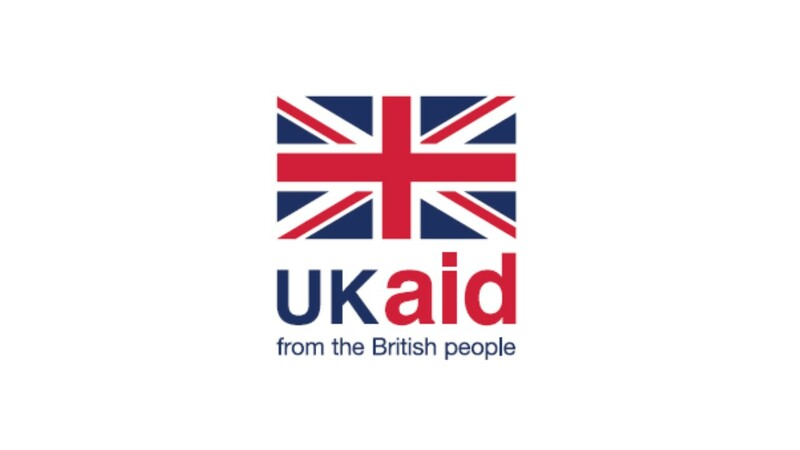 However the backlog is massive – estimated at between 2.3 million and 3.7 million units – and annual delivery by government is clearly insufficient to meet demand. With a current population of nearly 58 million, it is estimated that 71.3 percent of the South African population will reside in urban areas by 2030. To respond to the urbanisation challenge, in recent years there has been an increased focus on rental housing, including exploration of how government might support and facilitate of low income rental in backyards. A key means to unlock housing supply at the lower end of the market would also be to facilitate and promote resale. Furthermore, microfinance continues to be a growth area with significant potential, and non-governmental organisations have managed to roll out effective loan products to facilitate incremental building. Each year, CAHF publishes its Housing Finance in Africa Yearbook. The profile above is from the 2018 edition, which has up-to-date profiles for 54 African countries. With a population estimated at 57.73 million in 2018, South Africa’s Gross Domestic Product (GDP) was R4.604 trillion (US$319.9 billion) in 2017, forecast to rise to R4.94 trillion (US$343.3 billion) in 2018., Although South Africa has the 2nd largest economy in Africa (after Nigeria), it ranks 4th in Africa in GDP per capita, after Mauritius, Gabon and Botswana. In recent years, South Africa’s GDP per capita has been decreasing, from a high of US$6 823 in 2013 to US$6 161 in 2017. Since the establishment of the democratic state in 1994, the government has prioritised an extensive social security and poverty alleviation programme providing social grants, free basic education and health care, government-subsidised housing, and targeted infrastructure investment for basic services. Between 1994 and December 2017, government reports that it has built 2.975 million houses for low income households as part of a massive government-subsidised programme aimed at providing adequate shelter, increasing home ownership, and reversing the spatial divisions which are a legacy of the apartheid regime. The focus on social security and developmental spending notwithstanding, South Africa remains one of the least equal economies in the world, with a Gini index of 62.8 in 2017. South Africa continues to be plagued by massive unemployment and persistent inequality. The unemployment rate reached 27.2 percent in Q3 2017, the highest since September 2003., The lack of job opportunities is a critical concern for graduates and youth; in 2018, unemployment among youth aged 15-24 (who make up 17 percent of the population) was 32.4 percent. Economic growth has been insufficient to tackle the key issues of poverty, unemployment and inequality. Real GDP growth in 2017 was 1.0 percent, an increase from 0.3 percent in 2016. However, Q1 2018 GDP growth was -2.6%, followed by -0.7% growth in Q2, according to Statistics SA. As a result, South Africa is now technically in a recession (defined by two consecutive quarters of negative GDP). Across the region, average growth in Sub-Saharan Africa is expected to remain moderate at 2.7 percent in 2017, rising to 3.5 percent in 2019. – mostly notably the national airline, South African Airways, and Eskom, the electricity provider – also contributed to the downgrade and weakened investor confidence. The announcement in January 2018 of fee-free higher education and training for students who cannot afford tertiary education has also put immense pressure on the fiscus, alongside an escalating public wage bill. However consumer confidence showed improvement in the first two quarters of 2018. This was primarily a result of perceived improved economic and political prospects following the removal of the incumbent president, Jacob Zuma by the ruling party, the African National Congress (ANC). The ANC, which has been the political party in power since 1994, has seen a decline in support in the last ten years. However since the ANC’s national elective conference in January 2018 which saw Zuma replaced by Cyril Ramaphosa as the President of the ruling party, significant and visible steps have been taken to stamp out corruption and ensure good governance, in state-owned-entities especially. Still, there are fears that political uncertainty heading into the 2019 national elections will hinder growth and investment, and that the implications of “state capture” which took hold over the last 5-10 years, will have long-reaching effects that cannot be easily or quickly rectified. These developments have had a noticeable impact on the exchange rate and inflation. The Rand began 2016 in a weak position at R16.89/US$1 (20 Jan 2016) and then improved, reaching R11.56/US$1 on 26 Feb 2018. However the currency has weakened since then, to a recent low of R15.43/US$1 on 5 sept 2018. South Africa has followed a monetary policy of inflation targeting since 2000; on the whole, inflation has stayed within the target range of 3 to 6 percent. CPI inflation was 5.3 percent in 2017, down from 6.3 percent in 2016, and electricity inflation has stabilised, dropping from 9.2 percent in 2016 to 4.7 percent in 2017. As of 2018, inflation pressures have arisen, partially due to an increase in value-added-tax (VAT) from 14 percent to 15 percent, as of 1 April 2018. Looking forward, CPI inflation is expected to hold steady at 5.3 percent in 2018. With well-developed transportation, information technology, and services infrastructure, South Africa’s economy was historically dominated by mining, but is currently led by the services sector. Transport, electricity, trade and finance sectors are contributing to growth while the mining and manufacturing sectors are experiencing contractions. The construction sector has recorded poor performance; compared to 1.7 percent growth in 2015, growth in real value added in construction only reached 0.4 percent in the first three quarters of 2017. Nevertheless, the construction sector is a notable contributor to GDP, adding 3.4 percent to South Africa’s GDP in 2017. Research by CAHF using 2016 data showed that residential construction and rental sectors contribute 4.1 percent to GDP (including intermediate outputs), making their contribution equivalent to the entire agriculture, forestry and fishing sector; the food sector; and the energy sector. The research also demonstrated that residential construction and rental is a R60.5 billion (US$4.2 billion) industry, employing 468 000 people annually. After a boost in investor confidence due to the installation of President Ramaphosa, investor confidence has fallen back in the 2nd and 3rd quarters of 2018, largely due to political uncertainties, ongoing corruption issues and concerns with the current debate regarding the legal framework for expropriation of land without compensation. In its 2018 Doing Business Report, the World Bank ranked South Africa 82nd (down, from 74th in 2017), and fifth in Sub-Saharan Africa. Poor performance in the rankings is in the areas of registering property, paying taxes, and obtaining construction permits. Statistics South Africa (StatsSA) (2018). Press release: Mid-year population estimate: 2018. 23 July 2018. National Treasury – Republic of South Africa (2018). Budget Review 2018. 21 February 2018. Pg. 17.
 Business Tech (2018). The Biggest Economies in Africa. 10 July 2018..
 World Bank (2018). World Bank World Development Indicators. National Department of Human Settlements (2018). HSDG Housing Opportunities and Subsidies Delivered 1994 to 30 December 2017. http://www.dhs.gov.za/sites/default/files/u16/HSDG%20to%20Dec%202017.pdf (Accessed 8 Oct 2018). National Treasury (2018). Budget Review 2018. Pg. 17. Statistics South Africa (2018). Quarterly Labour Force Survey, Quarter 2: 2018.
http://www.statssa.gov.za/publications/P0211/P02112ndQuarter2018.pdf (Accessed 2 Oct 2018). National Treasury (2018). Budget Review 2018. Pg. iv. Statistics South Africa (2018). Economic Growth: The economy shrinks by 0.7% in Q2 2018. http://www.statssa.gov.za/?p=11507 (Accessed 2 October 2018). National Treasury (2018). Budget Review 2018. Pg. 15. Donnelley, L. (2017). Global credit ratings agency has downgraded South Africa to junk status. 25 Nov 2017. The Mail & Guardian. Bureau for Economic Research (2018). FNB/BER Consumer Confidence Index (History Data), 2018. South African Reserve Bank (2018). Selected historical rates. https://www.resbank.co.za/Research/Rates/Pages/SelectedHistoricalExchangeAndInterestRates.aspx (Accessed 7 Oct 2018). South African Reserve Bank (2018). The Inflation Target. https://www.resbank.co.za/MonetaryPolicy/DecisionMaking/Pages/InflationMeasures.aspx (Accessed 7 Oct 2018). National Treasury (2018). Budget Review 2018. Pg. 20. Statistics South Africa (2018). Statistical Release: Gross Domestic Product Fourth Quarter 2017. 5 June 2018. Pg. 10. Rust, K. (2018). Presentation: “Investment & economic empowerment opportunities in South Africa’s affordable housing sector.” 14 September 2018. Centre for Affordable Housing Finance. Bureau for Economic Research (2018). RMB/BER Business Confidence Index. World Bank Group (2018). Doing Business: Ranking & Access to Frontier. South Africa benefits from a sophisticated banking system with 36 local institutions: 19 registered banks, 3 mutual banks, 3 cooperative banks and 15 local branches of foreign banks – plus 31 foreign banks with approved local representative offices. Five banks dominate: Absa Bank, First National Bank, Nedbank, Standard Bank and Capitec. The capital-adequacy ratio for the banking sector was 16.12 percent in January 2018, compared to 15.88 the previous year, well above the minimum regulatory requirement. The 2017 FinScope survey found that 77 percent of the South African adult population is banked. The use of non-bank financial services increased from 66 percent in 2016 to 69 percent in 2017. Government is taking steps to expand the reach of competitive, affordable banking services through digital banking especially; in 2017 three new bank licenses were approved. The application by the South African Post Office’s Postbank for a banking license, to allow it to offer a full range of services, is still pending approval. South Africa also has a well-developed mortgage market. The ratio of mortgage debt outstanding to GDP is currently 28.8 percent (2017), down from a high of 40.9 percent in 2008. According to the National Credit Regulator (NCR), the total outstanding gross debtors book of consumer credit for the quarter ended March 2018 was R1.78 trillion, of which R913.78 billion, or 51.41%, was mortgages. However, while origination grew in real terms between 2010 and 2015, the nominal book value of bank mortgages remains below pre-Global Financial Crisis levels in real terms. In 2017, new loans accounted for only 20 percent of total book value, versus 60 percent of total book value in 2005, when the market grew 43 percent year-on-year in loans paid out. Recent research commissioned by CAHF estimates that in 2007, 14.5 percent of households in South Africa had a mortgage. By 2016, this had declined to 9.7 percent of households. Broadening access to financial services has been an area of focus for the government and the financial sector since the Financial Sector Charter (FSC) came into effect in 2004. The FSC sought to ensure access to financial services for those previously excluded, primarily low-income earning black South Africans, however progress has been slow. In 2017, government undertook a review and identified key issues, including the need for improved data collection, better monitoring and reporting, sanctions for companies who fail to meet the FSC objectives, and the imperative to raise the transformation targets. A new Financial Sector Code was gazetted in December 2017 with the aim of increasing access to financial services for black South African, especially low income households. However, despite well-developed credit markets and the intentions of the FSC, access to mortgage finance is largely limited to high income earners. Of the 153 467 mortgages granted in 2017, only 6 824 (or 4.4 percent) were granted to individuals with a gross monthly income of R15 000 (US$1 042)or less. Furthermore, consumer indebtedness across all loan products continues to be a concern: 34 percent of borrowers in the income segment of R10 000 to R15 000 (US$695 – US$1 042) have at least one account in arrears of three months or more. The prime lending rate is currently 10 percent, having recently peaked at 10.5 percent in March 2016. Typically, borrowers in the South African affordable market access mortgages at a premium of two percentage points above the conventional housing market. Microfinance continues to be a growth area with significant potential, and non-governmental organisations have managed to roll out effective loan products to facilitate incremental building. For example, the Kuyasa Housing Finance Company has developed a successful home improvement loan product and has grown its portfolio. Kuyasa issued 1 756 loans for home improvements in 2017/18, with an average loan amount per customer of R8 000 (US$556). 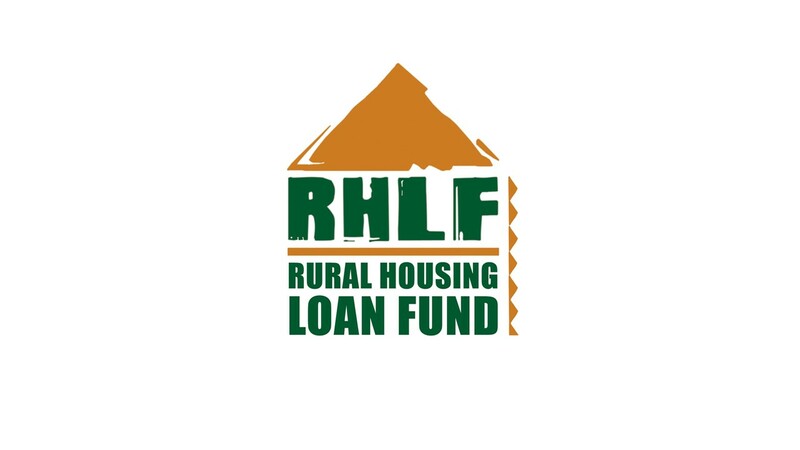 The three main state-supported housing financiers – the National Housing Finance Corporation (NHFC), the Rural Housing Loan Fund (RHLF), and National Urban Reconstruction and Housing Agency (NURCHA)—are undergoing a process of consolidation into a single development finance institution, the Human Settlements Development Bank. The operational consolidation of the three entities is proceeding and the policy has been approved, while the legislation for the Bank’s establishment is currently being drafted. 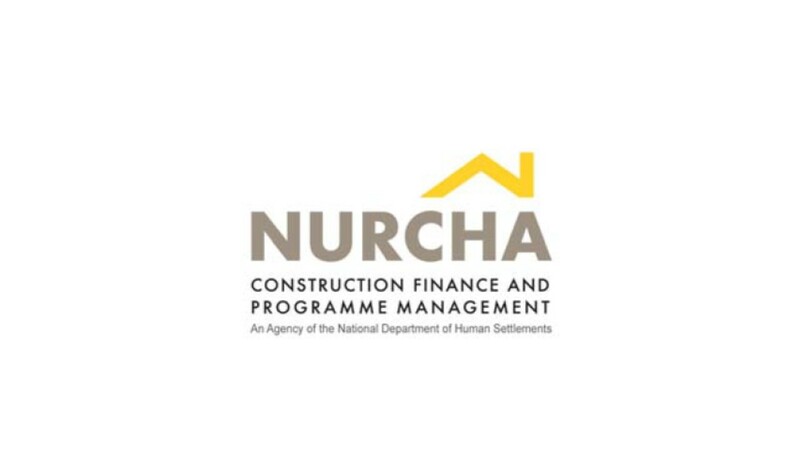 The aim of the Bank is to facilitate the increased provision of finance across the human settlements value chain, explicitly supporting construction financing for government-led integrated housing projects in urban areas. There are other positive developments impacting on access to housing finance. In June 2018, FSD Africa announced that it was investing R30.496 million (£1.6 million) in Sofala Capital, a private equity company targeting niche market housing finance providers based in Cape Town, to enable them to upscale their construction mortgages in both Zambia and South Africa. 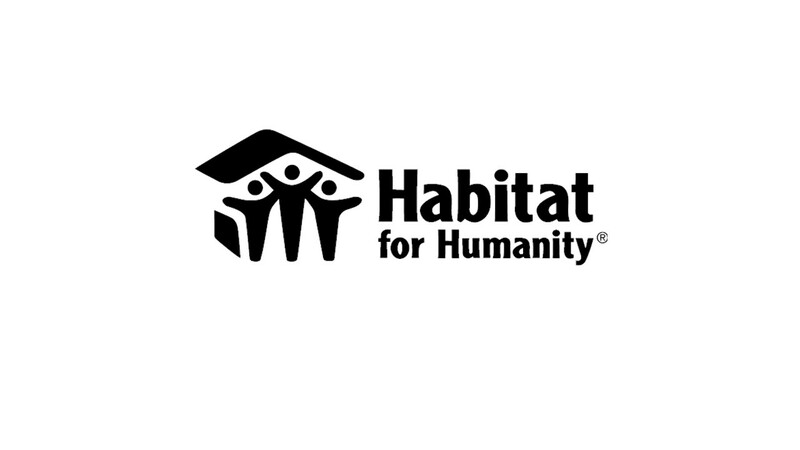 The investment will support iBuild Home Loans Pty Limited (iBuild Home Loans), one of Sofala’s companies, which provides mortgage loans to low income households who wish to add a room to their house to rent out. South African Reserve Bank (2018). Selected South African Banking Sector Trends January 2018. Finmark (2016). Finscope Consumer Survey South Africa 2016. Sefako-Musi. G. (2018). Post Bank, Ithala banking licence approval under spotlight. 19 March 2018. SABC News. South African Reserve Bank, online statistical query: https://www.resbank.co.za/Research/Statistics/Pages/OnlineDownloadFacility.aspx (Accessed 13 Oct 2018). Total mortgage debt outstanding (KBP1480J) at the end of 2017 was is R1.34 trillion, against a GDP at current prices (KBP6006J) of R4.65 trillion. National Credit Regulator (2018). Consumer Credit Market Report: March 2018. Melzer, I (2018) Bringing life to mortgage markets in South Africa. http://housingfinanceafrica.org/documents/bringing-life-to-mortgage-markets-in-south-africa/ (Accessed 13 Oct 2018). National Treasury – Republic of South Africa (2018). Budget Review 2018. Pg. 162. 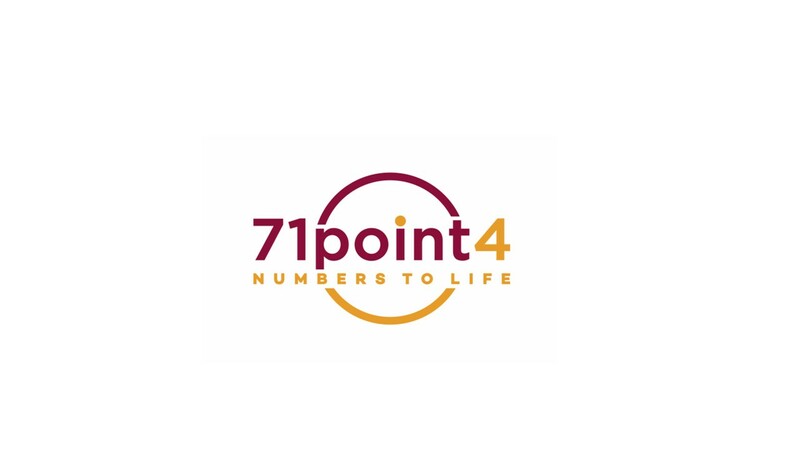 71point4 (2018). Presentation: “Entitled: Reframing the City.” September 2018. Slide 14. Email correspondence with Emma Harrington, Reall, 13 August 2018. Department of Human Settlements (2018). Address by the Honourable Minister of Human Settlements, Ms. Noma-Indiya Mfeketo at the presentation of the Department of Human Settlements Budget Vote 2018/19. 10 May 2018. FSD Africa (2018). FSD Africa invests £1.6 million in African housing finance. 22 June 2018. Housing affordability in South Africa remains a critical challenge. In 2018, the cheapest, newly built house was estimated at R352 500 (US$24 496). This house would cost R6 130/ month (US$426) at an interest rate of 10.5 percent over 20 years, assuming a 20 percent deposit. Under these terms, the house would be affordable to only 34.4 percent of urban households. Low household incomes; poor credit records limiting access to finance; rising building costs; and scarcity of affordable, well-located land for human settlements development are all factors which contribute to the affordability challenge. According to research undertaken by CAHF to benchmark housing construction costs across 16 African countries, in South Africa construction (labour, materials and indirect costs) comprised 62 percent of the total cost of the house; other development costs (marketing, finance and holding costs, and sales taxes) comprised 18 percent; infrastructure, 12 percent; land, 6 percent; and compliance one percent. Government’s primary means of addressing the housing backlog and the housing affordability challenge has been focused on the supply side, providing houses to low income households as part of a comprehensive subsidised programme in which government is the delivery agent, as opposed to a demand-side approach to subsidisation. Households earning below R3 500/month (US$243/month) are eligible for a government-subsidised house at no cost if they meet the qualification criteria. Households earning between R3 500 (US$243) and R22 000 (US$1 528) fall into the so-called ‘gap’ market, whereby they earn too much to qualify for a ‘free’ house from government, and are often unable to access sufficient housing finance from commercial banks to afford the cheapest newly built house, due to insufficient or informal income or poor credit records. To address the needs of the gap market, the government introduced the Finance-Linked Individual Subsidy Programme (FLISP) in 2012. The programme provides a once-off capital subsidy which is tied to an approved mortgage from a bank for a new or existing house. The subsidy works on a sliding scale: the maximum subsidy of R121 626 (US$8 452) is provided to a person earning R3501/month (US$243), while a person earning R22 000/month (US$1 528) is eligible to receive R27 960 (US$1 943). However FLISP has had very limited take-up, due to institutional issues, limited awareness of the programme, and prolonged approval and disbursement processes. In 2017/18 only 2 295 FLISPs were granted nationwide (against a target of 5000). Another key government intervention to improve housing affordability for low income households is the Government Employee Housing Scheme (GEHS) which provides a monthly housing allowance of R1 200 (US$83). Participants save towards a downpayment via an individual linked savings facility; once they have purchased a home, their monthly housing allowance goes towards their bond payment. The GEHS also provides monthly subsidies for employees who rent. Standard house is defined as a 46 m2 house with 9 m2 balcony, built on a 120 m2 stand, with basic finishes. The costs of building this house were tested across 15 countries. Comparatively, the costs in South Africa were relatively low at US$28 436 in Pretoria, versus US$63 241 in Nairobi, Kenya, and US$26 750 in Dar es Salaam, Tanzania. See: CAHF (2017). Down to Brick Level: Benchmarking Housing Construction Costs in Africa. 7 Nov 2017. National Department of Human Settlements (2018). 2017/18 Annual Report. Pg. 60. Eighty percent of South African households lived in formal dwellings in 2017. Of those living in formal dwellings, 55.5 percent fully own their house and 24.7 percent are renting. A total of 3.1 million households in South Africa live in informal or traditional dwellings (19.1 percent of the total population). As noted above, up to now, government has acted as the primary producer of housing at the low end of the market. According to the 2017 General Household Survey, over 2.8 million households have received a state housing subsidy. However the backlog is massive – estimated at between 2.3 million and 3.7 million units – and annual delivery by government is clearly insufficient to meet demand: in 2017, 135 983 housing opportunities (top structures and serviced sites) were delivered country-wide. As a result, individuals may wait for up to 15 years on the needs register prior to being selected as a prospective beneficiary. As part of an effort to significantly boost delivery, government initiated a programme of large scale housing development projects in 2016 – some led by government and some by the private sector. There are a total of 48 approved catalytic human settlements projects nationwide, and implementation has begun, driven in large part by the Housing Development Agency (HDA). In addition to greenfields housing projects, government also invests significant resources in its programme to upgrade informal settlements and provide basic services. 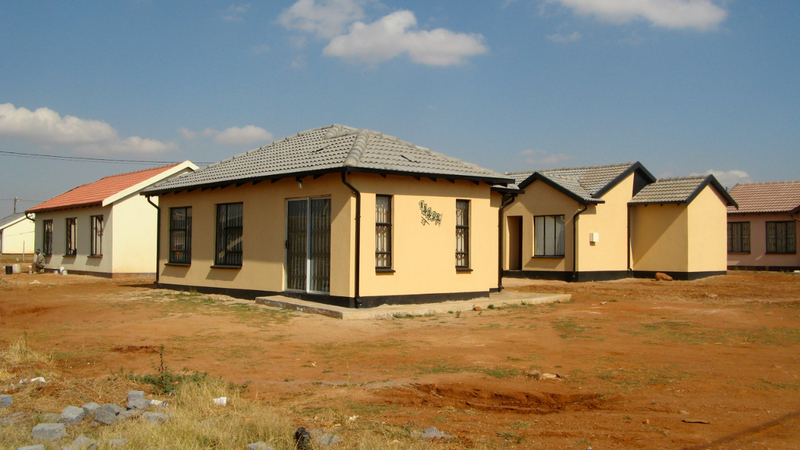 Figures on the number of units delivered annually by the private sector vary: according to StatsSA, 39 014 residential units were completed in 2017, while the National Home Builders Registration Council (NHBRC) reports that 53 277 units were enrolled in 2016/17. In recent years, there has been an increased focus on rental housing, including exploration of how government might support and facilitate of low income rental in backyards. The Social Housing Regulatory Authority (SHRA) has estimated that the demand for social housing units is 235 000 in major urban areas and 83 000 units in secondary towns and cities. However delivery has fallen far short: a total of 3 535 social housing units were delivered in 2017/18, against a target of 7 915. A key means to unlock housing supply at the lower end of the market would be to facilitate and promote resale. While government-subsidised properties carry an 8-year restriction on resale, many of the 1.9 million subsidised houses on the deeds registry are now eligible to form part of the resale market. For the remainder of subsidised houses not yet formally transferred, the failure to provide title deeds has made it impossible for them to sell their houses formally. StatsSA (2018). Statistical Release PO318: General Household Survey 2017. 21 June 2018. National Department of Human Settlements (2018). 2017/18 Annual Report. Pg. 67. 71point4 (2018). Presentation: “Entitled: Reframing the City.” September 2018. Slide 19. SHRA (2017). To the Next Level: State of the Social Housing Sector Report 2016. National Department of Human Settlements (2018). 2017/18 Annual Report. Pg. 49. South Africa’s residential property market forms the largest component of the South African property market, comprising most of the property assets within the country. By the end of 2017, the South African deeds registry had 7.2 million properties, worth R6.8 trillion (US$472 billion). Of this, about R5.1 trillion (US$354 billion) is in the residential sector, involving approximately 6.37 million registered properties. Just over half (57 percent) of the total formal residential property market is found in the eight metropolitan municipalities. A majority of the residential property market – 58 percent at the end of 2017 – includes homes valued at less than R600 000 (US$41 695). Thirty-five percent are homes that are valued at less than R300 000 (US$20 847), of which the majority (about a third of the total residential property market) are estimated to have been fully subsidised by the government. South Africa has a well-established property market and a world-class cadastral system. According to the 2018 World Bank Doing Business Report, South Africa is ranked 107th of 190 countries globally, in terms of how easy it is to register property. It takes 23 days to go through the seven procedures and costs an estimated 7.3 percent of the property value. However, this is not a useful proxy for residential property, especially at the bottom end of the market, where it can take upwards of ten months for the entire resale transaction process to conclude. The quality of the land administration index rates South Africa at 14.5, well below the OECD high income country score of 22.7, but above the Sub-Saharan Africa score of 8.6. The registration of title deeds for government-subsidised properties remains a serious challenge. A Title Deed Restoration Programme is aimed at addressing the backlog and ensuring the formal registration of government-subsidised housing. As of June 2018, approximately 30 percent of the known backlog has been addressed. However the process is slow and encumbered by administrative obstacles, including legal and planning matters which must be resolved retrospectively, and contestation of ownership in situations where the original beneficiary no longer resides in the house. The Department reports that only 41 841 title deeds were issued in 2017/18, against a target of over 327 000. Melzer (2018). TSC Case Study 1: The time it takes to buy a house in Delft. http://housingfinanceafrica.org/case-study-1-the-time-it-takes-to-buy-a-house-in-delft/ (Accessed 7 Oct 2018). Email correspondence with Anton Arendse, National Co-ordinator: Title Restoration Project, National Department of Human Settlements, 10 October 2018. National Department of Human Settlements (2018). 2017/18 Annual Report. Pg. 44. The foundation of the policy and legislative framework for housing in South Africa is Section 26 of the Constitution which states that everyone has the right to access to adequate housing and that “the state must take reasonable legislative and other measures, within its available resources, to achieve the progressive realisation of this right.” Beginning with the Reconstruction and Development Programme (RDP) in 1994, the state has focused on home ownership as the primary means to fulfil this constitutional right. The RDP, which focused on the rapid rollout of stand-alone 40m2 houses transferred to low income households at no cost, was later replaced by the Breaking New Ground (BNG) policy in 2004. BNG heralded a policy shift towards integration and sustainability, and an intention to move the focus away from housing production toward the development of human settlements where neighbourhoods contained economic and social amenities and were spatially integrated into urban areas. South Africa’s vision and approach for meeting the housing needs of the population was initially set out in the Housing White Paper in 1994. The key piece of sectoral legislation, the Housing Act, followed in 1997 and set out basic roles and relationships of the three spheres of government with respect to housing. In 2018, the Department of Human Settlements embarked on a comprehensive review of the policy and legislative framework, with the ultimate aim of amending the Housing Act to reflect the shift towards sustainable and integrated human settlements. In 2017, the National Department also revised the 2009 Housing Code, the set of technical guidelines that serve as the basis for implementation of the various national housing programmes. Other legislation has been enacted to bring about changes in the institutional arrangements for housing delivery. SHRA was established in 2010 to regulate and invest in the delivery of affordable rental homes, with a focus on social housing. To address the scarcity of serviced land for housing, the HDA was established in 2009 with a mission to fast-track the acquisition and release of land for human settlement development. It has since become a fully-fledged property development agency, and provides project management support to municipalities. Other key legislation is currently being amended. The Property Practitioner’s Bill, gazetted in 2018, seeks to transform the property sector and will replace the old Estate Agencies Affairs Act of 1976. The Department is also amending the HLMDA, which governs reporting requirements by finance institutions on lending patterns and practices; the final HLMDA Amendment Act will be gazetted in 2019. Furthermore, the Rental Housing Amendment Act (No. 35 of 2014) extends greater protections to tenants, including a requirement that all leases – including in the informal sector – be set out in writing. However the date on which the Act comes into effect has not yet been proclaimed by the President. Other critical sectoral legislation includes: the Social Housing Act (No. 16 of 2008); the Prevention of Illegal Eviction and Unlawful Occupation of Land Act (No. 19 of 1998, amended); the Housing Consumer Protection Measures Act (No. 95 of 1998); the Rental Housing Act (No. 50 of 1999); the Housing Development Agency Act (No. 23 of 2008); the Home Loans and Mortgage Disclosure Act (No. 63 of 2000); and the Spatial Planning and Land Use Management Act (No. 16 of 2013). While the high end of South Africa’s residential property market continues to see growth, the potential at the lower end of the market is largely untapped. With greater interventions to stimulate and enable the functioning of the secondary market at the lower end, demand will increase for affordable housing as households are able to access finance and move up the housing ladder. In the context of low economic growth and a tight fiscus, there is a growing recognition and acknowledgement that the mass delivery of full-subsidised ownership units to low income households is not sustainable. In upcoming months and years, we are likely to see a shift in government policy towards a greater emphasis on rental housing and the role of the state in enabling and facilitating a functioning property market. Government is also paying more attention to the potential for innovative public-private partnerships, including rent-to-buy schemes, employer-assisted affordable housing, and higher density designs for rental and sectional title. There is also considerable opportunity for expansion in the microfinance sector, to support the construction of backyard units for rental or incremental building in informal settlements, former township areas, or on government-provided serviced stands. Another notable area of opportunity for investment is in inner city rental and the conversion of office blocks and abandoned buildings into residential accommodation for sale or rent. Looking forward, the need for affordable, well-located housing will only increase as South Africa confronts the prospect of 71.3 percent of the population residing in urban areas by 2030. Department of Cooperative Governance (2016). Integrated Urban Development Framework: A New Deal for South African Cities and Towns. The Centre for Affordable Housing Finance in Africa (CAHF) promotes investment in affordable housing and housing finance across Africa. What Role Does Housing Play in African Economies? This overview of the South African Mortgage Market offers useful lessons for Africa’s other mortgage markets which, although much smaller, are also seeking to broaden the scope of mortgage lending to achieve the twin objectives of improved housing markets and better structured financial sectors.